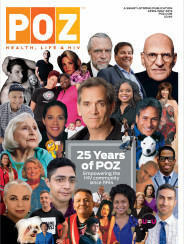 Health care can be tough for people living with HIV, and it’s important that we pool our experiences and be a part of the healthcare debate that has erupted all over the country. If you want to be heard, there’s a survey where you can share you experiences here. Have you had trouble getting doctor’s visits or treatments covered by your insurance? Are you “too healthy” for disability? Have you suffered from the inhumane burden of paying for healthcare? Have you been denied coverage because you have HIV? Have your out-of-pocket expenses for deductibles and co-pays grown dramatically in recent years? Have you had to get sicker and lower your CD4 count in order to be eligible for services? If any of the above rings true to you, please consider participating in this survey. Also, if you’re a negatoid (HIV negative) and feel like health care reform is important, contact your local representative and set up a one-on-one meeting as well. Share your own story as to why your current health care situation is a concern. I went to another town hall debate. Some concerns from people who oppose the bill are legit- is it being rushed? The usual fear of upsetting the balance in their own lives. I welcome the real concerns, because they will make the legislation that is passed even better. But to outright say that there is no need for a better system altogether? Or that, as I heard at the town hall, that the U.S. has “the #1 healthcare system in the world”? Medical problems cause enough grief as it is. But something is seriously screwed up when a person gets hit by a car, and they wake up in the hospital a day later and their first concern is losing everything they’ve worked their whole life to attain because of a medical bill.